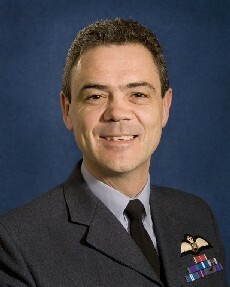 At the start of the interview, Group Captain Jock Brown, DHFS Commandant, gave me a brief history of DHFS and then he went on to describe the role of the Defence Helicopter Flying School. 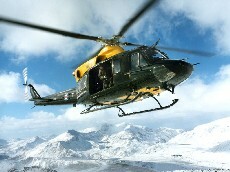 The school is responsible for the ab-initio training of helicopter pilots and crewmen for the armed forces in the UK. 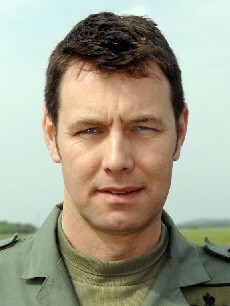 The DHFS also runs transitional courses for potential harrier pilots who come to Shawbury to familiarise themselves with the concept of hovering in a helicopter before progressing to the VTOL aircraft. Although the squadrons are badged as ‘single service’, they all work together to offer joint training for navy, army and air force personnel. The DHFS don’t just train UK pilots, they also train military helicopter pilots from around the world. Jock is proud to state that the school is one of, if not THE, best in the world. They also train helicopter flying instructors at the base too. About 160 students and 40 aircrew pass through the establishment every year. This relatively high number is due to natural wastage as pilots and aircrew move on to other duties or leave the forces. Jock says that all of the personnel leaving the courses here are destined to fly in front-line operations with very few exceptions. DHFS is run by the MOD and Jock actually commands the unit but there is a significant civilian input. FB Heliservices owns the aircraft and supplies 40% of the instructors, all of which are ex-military. Jock mentioned the crucial role that he and his staff have in community relations. They are very conscious of the noise nuisance that is possible and do their best to minimise the impact that the training has on the local residents. The DHFS do help out in the local community with school visits, fetes and community relations projects. As much of the training is at low-level the unit does need to have a good relationship with local farmers. In fact the DHFS do have agreements with many farmers to allow the trainee pilots to do various exercises over their land. Jock thinks that the future of DHFS is quite strong given the ongoing requirement for helicopters but he is conscious of the strategic review due to be published later in the year. 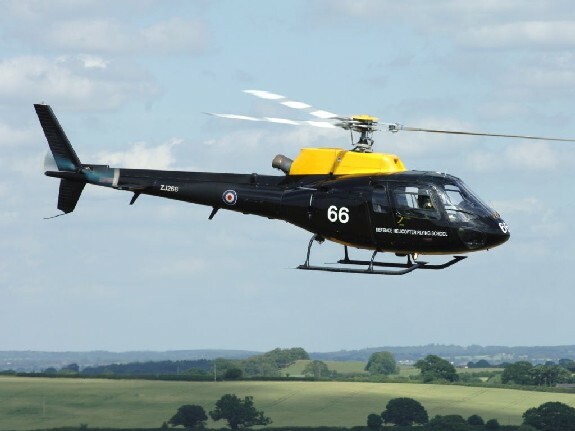 The Defence Helicopter Flying School uses mainly Squirrel single engine helicopters and the Griffin twin engine helicopter. In the second half of this episode I talk to the squadron leaders of the 2 squadrons that teach single engine military helicopter flying, both basic and advanced, here at the Defence Helicopter Flying School. That’s Major Sasha Zvegintzov, also known as Zog and Lieutentant Commander Mark Scott aka Scotty. They give me an overview of the training syllabus for helicopter pilots from all of the armed forces. 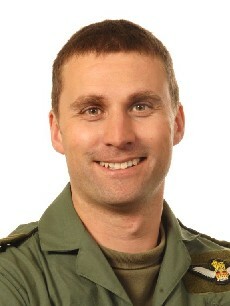 Lieutenant Commander Scott of 705 Squadron. After a brief summary of the background of the 2 squadrons, Zog and Scotty told me what the students would have been doing prior to their arrival at DHFS. DHFS is designed for ab-initio training on helicopters and all students will have had basic fixed wing flight training prior to arrival. This training will have been at various places dependant on which branch of the armed forces they have come from. When a student arrives at Shawbury, they will join either 660 or 705 squadron, in rotation, for all of his/her single engine heli training. Basically the training syllabus involves groundschool, flying, simulator training and navigation. Scotty says that the course is very similar in essence to the PPL(H). All of the training is on the Squirrel helicopter. Other elements on the syllabus which aren’t purely flying related include: leadership and crew resource management and the students usually get involved in community projects. Building on the basic course, the advanced course takes the students through instrument training and low-level navigation. Everything that the students get taught is relevant to the operations that they might be involved in when they find themselves on the front line. Following on from the navigation phase, the students do more handling exercises and night flying before being prepared for the final handling test. At the end of the interview both Zog and Scotty gave me a brief overview of why they joined the forces, how they’d found their life in the army and navy respectively and finally they told me whether, if they had their time over again, they would have joined the armed forces. Thanks to all of the people at DHFS who made me feel very welcome during my stay at Shawbury. Whether or not you agree with the politics of wars in Iraq and Afghanistan, for example, the guys here are doing a brilliant job and, to me at least, seemed to be going about their business in an extremely professional manner. This entry was posted in All Podcast Episodes, Flight Training, Flying Professionals, Helicopters, Military and tagged Aviation, Flight Training, General Aviation, Helicopter, Military, Podcast, podcasts, RAF, Shawbury by admin. Bookmark the permalink. I must say I didn’t think I’d like these podcasts but I’ve been proved wrong. They’re really great. just wondering why Episode 26 of the podcast is not available on iTunes? Sorry about this problem. My hosting company somehow lost the file and it’s taken a few days to put the file back on the server. Should be available again any time now.